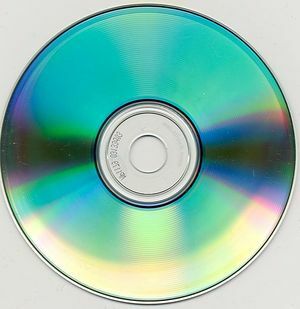 Today’s compact discs and DVDs have their origin in the Philips optical laser disc. The optical laser disc was originally used for watching movies at home. The compact disc is a sound recording medium introduced by the Sony and Philips companies in 1982. The sound is recorded as digital information on a plastic disc, and the disc is “read” by a small laser. The story of the CD came to be is full of twists and turns, and dates back to the late 1960s. At that time, the Sony Corporation had developed a new type of digital tape recorder suitable for making high quality master recordings. 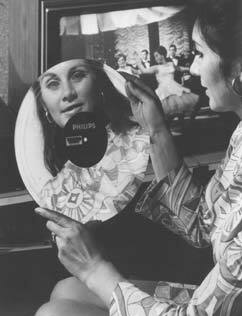 At about the same time, the Phillips Company had developed an optical laser disc system to record video onto a large plastic disc, and was working on a home player to reproduce the video on a TV set. In 1979, the two companies formed an alliance to produce an audio disc using much of the same technology and the two set out to design what became the compact disc. Their success depended on many other innovations, such as the introduction of very inexpensive lasers and microprocessors. By the autumn of 1982, the new audio player was ready for its introduction in Europe and Japan, and it was first sold in the United States the next year. The first CD players cost over $2000, but just two years later it was possible to buy them for under $350. It took a decade for the CD to replace the cassette as the most popular medium for listening to pre-recorded music, but it has remained unchallenged since that time. Recordable CDs were not generally available until the late 1990s. A CD is made by first making a digital recording in the studio. The finished digital recording includes not only the data representing the music, but also additional data such as tracking codes, cueing data, and sometimes even video. All this digital data is fed to a special master recorder, in which a laser burns a spiral of tiny pits into the surface of a polished-glass master disc. Both the pits and the areas between them, called “lands” represent the 1s and 0s of the digital data. The next stages of CD manufacturing are surprisingly like the making of a phonograph record. The glass disc is electroplated to form a metal mold, which is peeled off and electroplated again to form multiple metal stampers. These stampers are used to make plastic copies of the original glass master disc. To make the plastic copies more reflective, they include a thin layer of shiny aluminum. All this is encapsulated in a clear plastic later, which is labeled and put into a case for sale to consumers.